If you’re familiar with digital marketing, there’s no doubt that you’re familiar with influencer marketing. 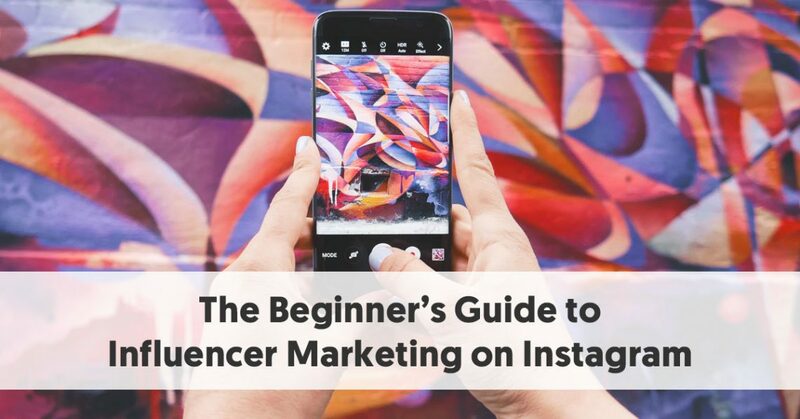 And if you’re planning to start working with influencers this year, Instagram is a great place to start. This post will help you understand how exactly you can leverage your influencer marketing efforts on Instagram, and how you can execute your very first campaign on the platform. Why Choose Instagram for Influencer Marketing? Now the big question is – why Instagram? Why not Facebook, Twitter, YouTube, or any of the other social media platforms? Aren’t they just as effective for influencer marketing? The truth is that, although these other platforms can be useful for influencer marketing campaigns, none of them compares to Instagram. With 800 million monthly active users, Instagram is an excellent platform for marketers to reach their target audience. 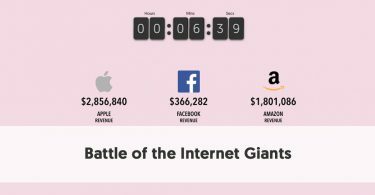 Although this user base isn’t as large as that of Facebook, it is much more engaged, making it a more effective way for brands to get their message seen and heard. 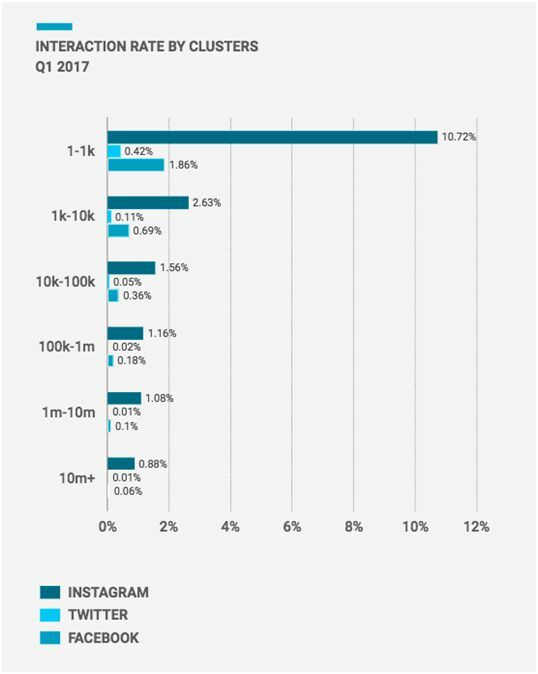 A Quintly study even found that Instagram has the highest interaction rate compared to all other social media platforms. 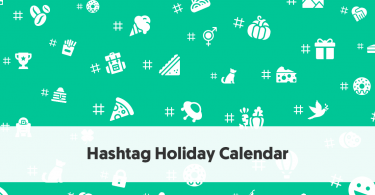 Another interesting fact is that 65% of the top-performing Instagram posts feature products. This says a lot about how the platform’s user base responds to sponsored posts. The audience doesn’t seem to have a problem interacting with posts in which other users (read influencers) are promoting products. This is perhaps why even influencers themselves seem to adore the platform. In a survey of 150,000 influencers conducted by Hashoff, 91.9% of them chose Instagram as their number one platform. 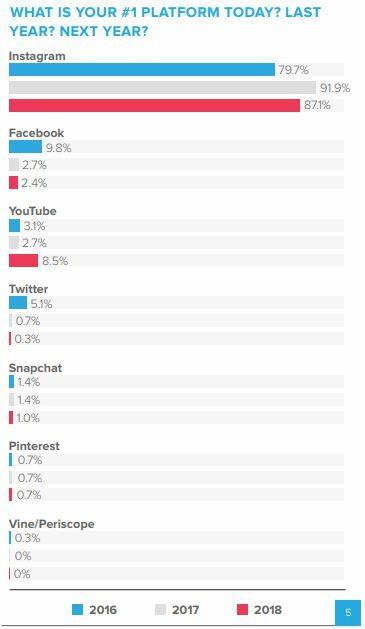 Only 2.7% of them chose Facebook as their favorite platform, and another 2.7% chose YouTube. And in another survey, which was conducted by Bloglovin’ on micro-influencers, Instagram seemed to be a favorite yet again. 59% of respondents in the study said that the platform is the most effective among all social channels to engage their target audience. Before you start a campaign, there is one thing you must be certain of – what do you expect to get out of the campaign? It’s crucial that you answer this question because the answer will form the basis of the rest of your campaign. What are your campaign goals? Do you wish to raise brand awareness? Do you want to promote a product launch? Do you want to drive more traffic? Or do you wish to increase sales? Whatever the ultimate goal may be, you need to clearly define it so you can have a better idea of how to go about your campaign. For instance, having a proper goal in place will help you understand what kind of performance metrics will be relevant for the campaign. If your goal is to raise brand awareness, metrics such as reach, impressions, engagement, etc. would be relevant for you. That said, you should also take a look at how your competitors are measuring the results of their campaigns. This will help you gain a better idea of what kind of metrics you should consider using. 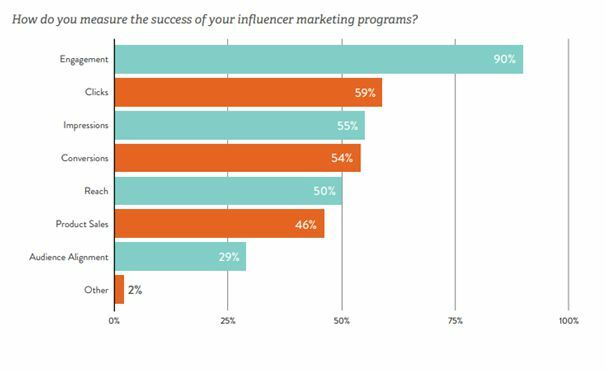 According to Linqia, engagement is the most used metric for measuring influencer marketing performance. Clicks, impressions, conversions, reach, and product sales are also important metrics. Once you’ve determined what you want to gain out of the campaign, you can start the process of defining and identifying your ideal influencers. Who influences your audience? Who creates content related to your brand, industry, or products? Who will be able to help you achieve your campaign goals? Niche - Consider their niche or their area of specialty. What topics do they normally cover? This is essential to maintain authenticity and create promotional content that doesn’t deviate from their usual topics. Reach - Consider the reach of your ideal influencer based on your goal. If you want to raise brand awareness, a relevant top-tier influencer would be a good option. If you want to drive engagement and start conversations around your product, look for relevant micro-influencers instead. Voice - Have a clear idea about the kind of voice your ideal influencer should have. Do you want them to be more serious and professional? Or would you like them to be casual and friendly? Maybe you’d prefer to work with an influencer with a good sense of humor? Consider all of this based on what your target audience would like. Engagement Rate - Even if you choose to work with a top-tier influencer, make sure they can still drive significant levels of engagement. You should clearly define the minimum average engagement rate your influencers should be able to maintain. Use tools like the Instagram Money Calculator to find out the average engagement rate of potential influencers. After defining your ideal influencer using these points, you can start your search of influencers for your campaign. There are several influencer marketing tools available in the market that can help make this job easier. Influence.co, for instance, is an excellent option for finding Instagram influencers. 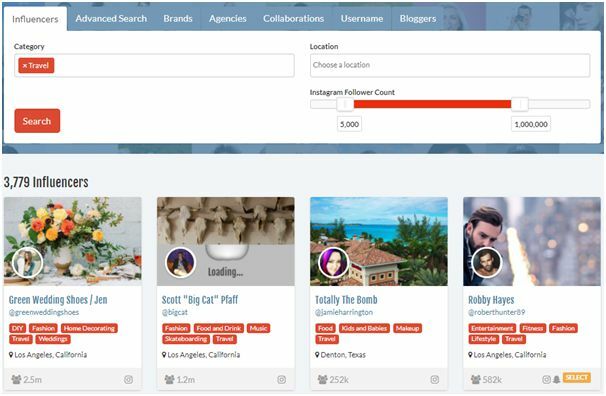 This platform lets you conduct a search for influencers based on category. You can also filter the results based on location and Instagram follower count. Using the advanced search feature of this tool, you can further narrow down your search based on gender, engagement rate, and age of the influencer. Additionally, there’s a rate filter that can help you find influencers to suit your budget. Grin is another option to help you with your influencer discovery. You can start your search using a relevant keyword. You’ll then have the option to filter your search based on metrics such as location, Domain Authority, etc. 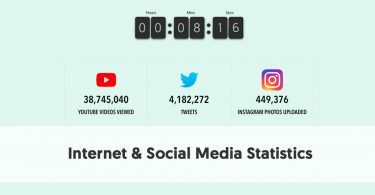 This can be very useful if you need to look for Instagram influencers who have their own blog or website for multichannel campaign execution. After you’ve decided on which influencers you’re going to work with, you’ll need to discuss how you’re going to collaborate with them. This will ensure that the campaign runs smoothly for both parties. Campaign Timeframe – Make sure you clearly communicate with your influencers about deadlines and campaign timeframe. Otherwise, you may end up having to follow up repeatedly in case they fail to meet these deadlines. Content Production – You should also have an agreement on what exactly you expect your influencers to produce for the campaign. What kind of content do you want from them? Do you want Instagram photos featuring your product with a brand mention? Do you want them to tell a story instead of just mentioning your brand? Maybe you want them to promote your products through videos and Instagram stories as well. Whatever your expectation is, you should clearly communicate it beforehand. You should also have a discussion about the amount of content required for the content. Content Usage Rights – Another crucial consideration is the right to content usage after the campaign. If you plan to repurpose the influencer’s content in the form of social media ads, website testimonials, etc. it’s crucial that you request full content usage rights while the influencer retains ownership. Compensation – There’s also the issue of compensation, which many brands and marketers fail to consider thoroughly before beginning their Instagram influencer marketing campaigns. Will you be giving them a flat payment per post? Or do you prefer to pay them based on their performance? While some micro-influencers may agree to promote your products in exchange for free products, avoid taking this for granted. Always be prepared to make some monetary payment when working with influencers. FTC Regulations – The FTC has some regulations in place for sponsored social media content. So make sure you thoroughly understand the guidelines and provide accurate instructions to your influencers on how they can follow them. Now that we’ve got the basics out of the way, you can start looking for campaigns executed by other brands for some inspiration. Alpro wanted to promote their yogurt alternative products and partnered with model Kate Spiers. The influencer regularly creates content related to fashion, style, food, and lifestyle. She has created a lot of sponsored posts for other brands to match her fresh and delicate Instagram aesthetic. For Alpro, she created a post in which the product is strategically positioned in the midst of a breakfast spread. She adds elements such as pink flowers and table linen to maintain consistency with her usual Instagram timeline. She also took care to mention a quick recipe of the breakfast she’s having, which implements the Alpro product. Takeaway: Make sure your influencer showcases your product in an aesthetic that matches the rest of their Instagram posts. 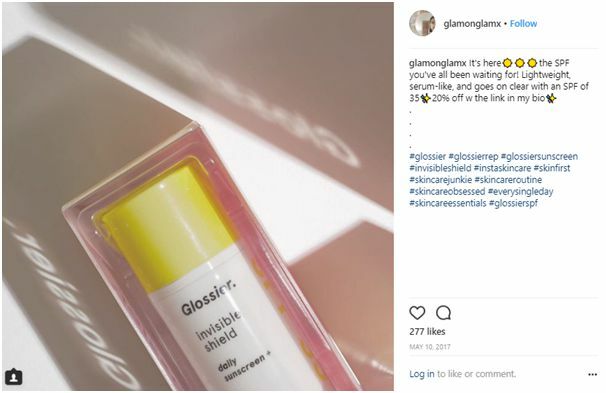 Glossier is known for partnering with micro-influencers, and turning everyday consumers into loyal brand ambassadors. One of the micro-influencers they’ve partnered with is Instagram user GlamOnGlam, who has close to 5,500 followers. She regularly creates posts in which she showcases Glossier products and talks about them. In the following post, she talked about the latest sunscreen produced by the brand. She gave a brief one-line review of the product, and talked about how it’s lightweight and serum-like. She also invited her followers to use the link in her bio to get 20% off on the product. Takeaway: Get influencers to promote discount codes in addition to giving honest reviews of your product. Utopian Luxury Vacation Homes wanted to raise awareness about their brand through Instagram influencer marketing. They invited four travel bloggers, including Lisa Linh, for a unique experience in Utah. As a travel influencer, Lisa Linh managed to showcase her vacation experience in an authentic and aesthetically-pleasing manner. She created several posts portraying some of the wonderful experiences she had during her vacation with the other three influencers. 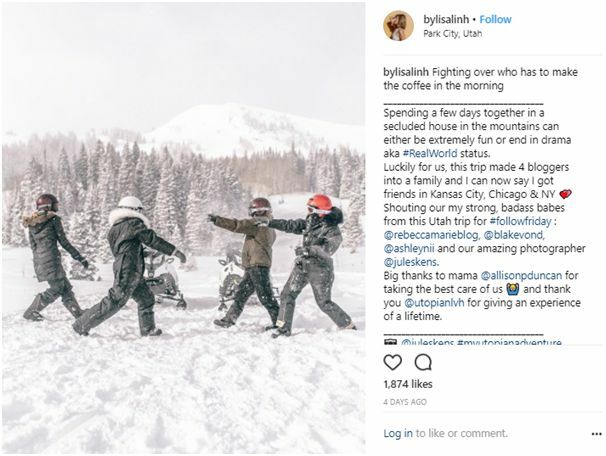 Some of her posts portrayed her snowmobiling, swimming, and walking in the snow. The four bloggers also seemed to enjoy sitting by the fire toasting marshmallows. Takeaway: Get influencers to showcase a unique experience around your product or service. 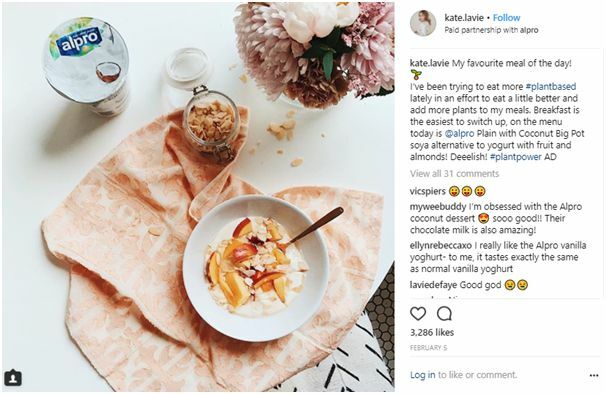 These are some of the essentials elements and tips that can help you successfully execute your first influencer marketing campaign on Instagram. As you can see, there is quite a bit involved in the process, but it will all pay off in the long run.